Thank you so much for supporting my store! 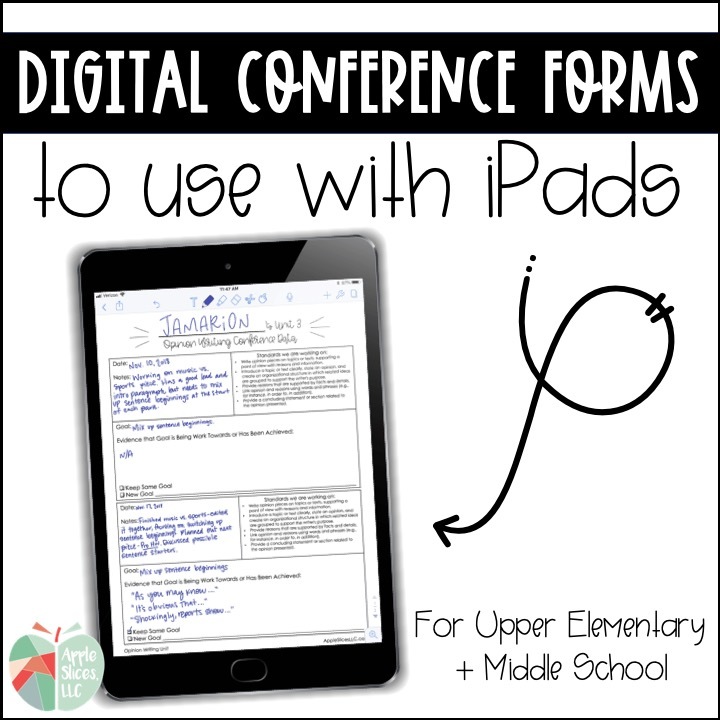 These digital forms can be used for your writing conferences throughout the year. Just move the JPEG file to your iPad and write on them. If you have a mac, I text the JPEGs to myself. 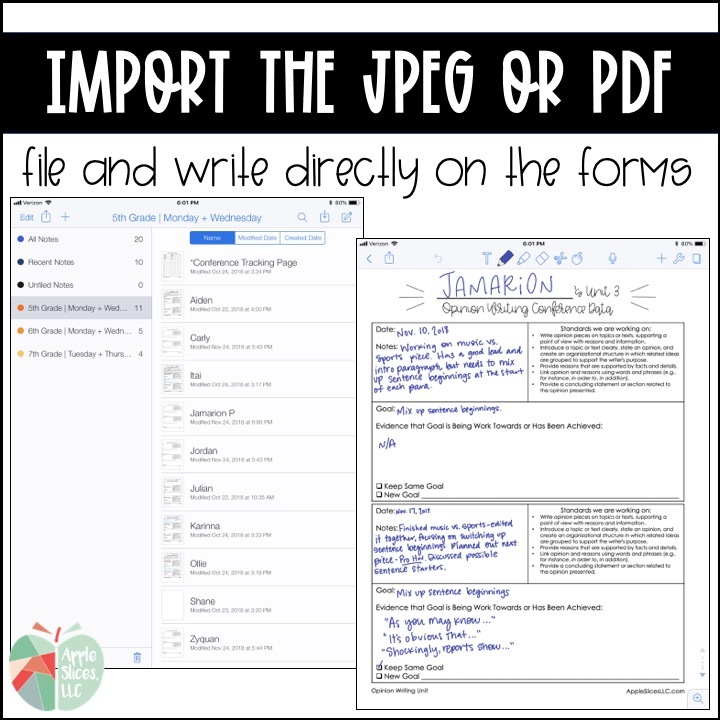 If you have a PC, just email the JPEGs to yourself and open them and save them on your iPad. To organize and write on the conference forms, I use (and recommend) the Notability app. 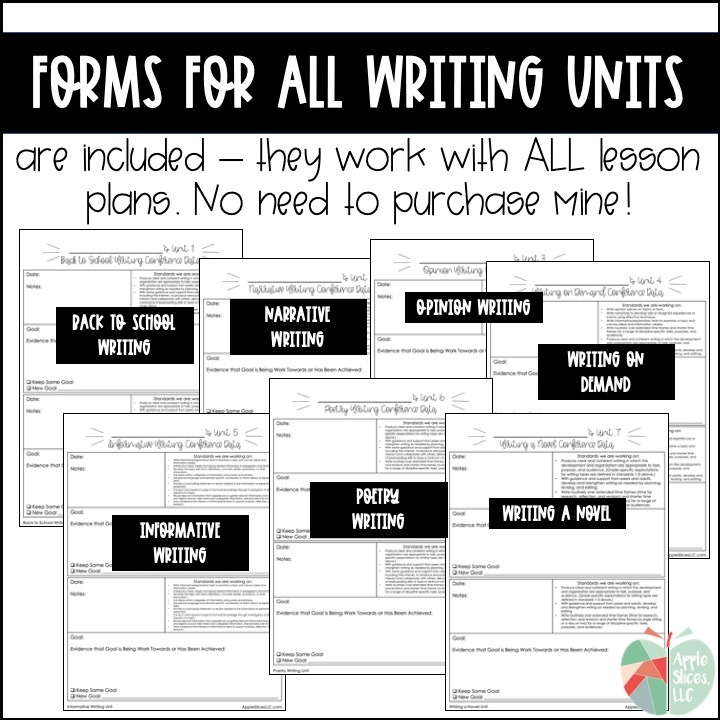 It’s a one time purchase that allows you to organize your classes, writing units, and individual students. I create a separate tab for each class and then add students as we meet. I just import the correct form for whatever unit we’re working on. You can add multiple forms to one student, so it’s simple to see what you did last time, what goals you’ve worked on throughout the year, and all student growth! 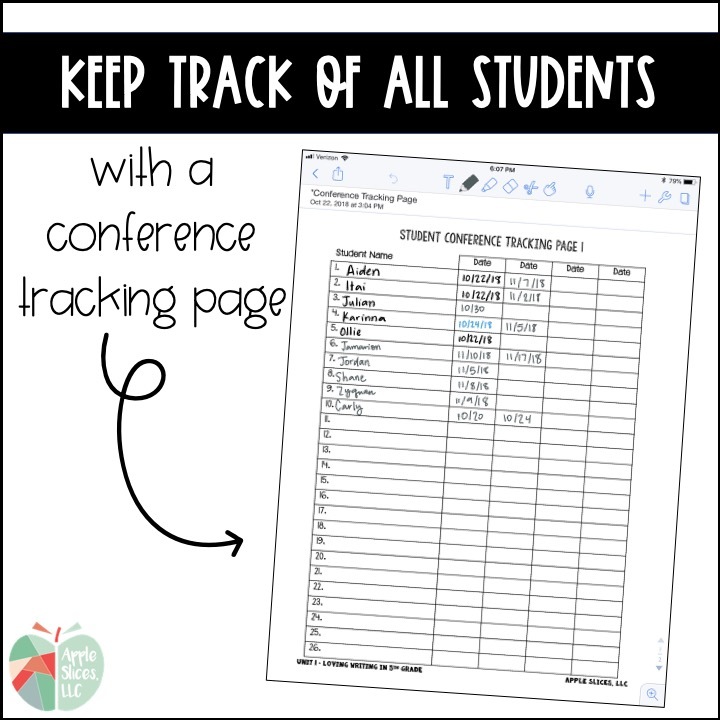 I keep track of all of my writing conferences with the Conference Tracking Page. By titling it with an asterisk at the beginning, it stays at the top of each class and I can add to it as I go! Please feel free to email me at AppleSlices4th@gmail.com with any questions you may have!